After a hiatus of 2 years, the 2016 Quality in the Spotlight conference reconvened in Antwerp at a critical moment. Some of the contentious issues confronting the Milan meeting were given broader discussion and a hopeful consensus appears to be emerging. A familial face wins the Antwerp Limerick contest! 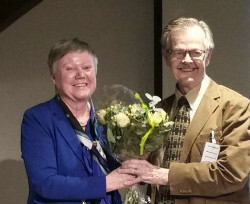 Linda Thienpont wins the 2016 Westgard Award!! Completing our trio of analyses on the Mindray hematology instruments, we take a look at a study of the performance of the BC-3600. The study authors conclude that this instrument's performance is "satisfactory." Do the Sigma-metrics agree? 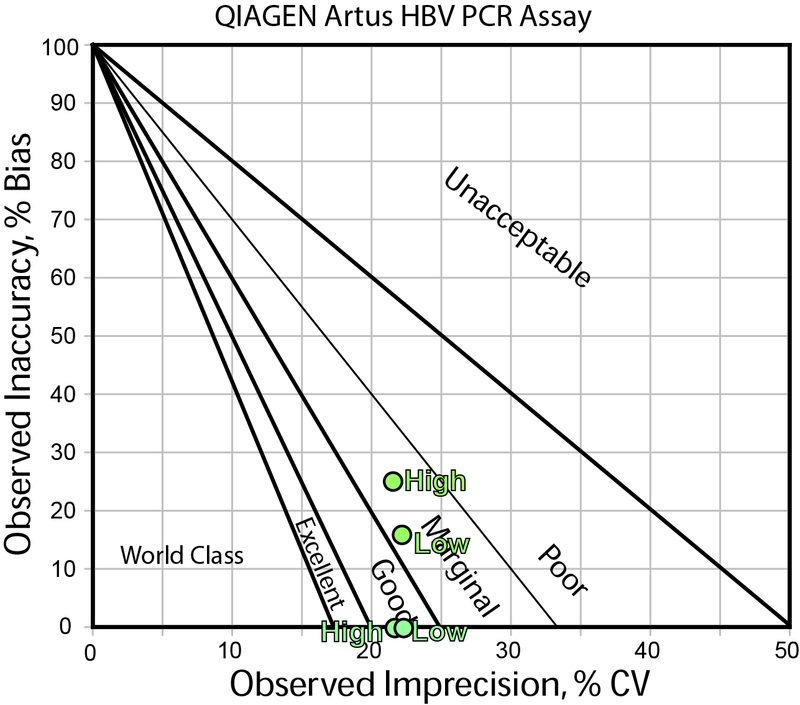 Do the "Westgard Rules" apply to a quantitative molecular assay? Or is this method so good it doesn't need any rules? As some of you know, the Quality in the Spotlight conference has one dinner that is infamous for its limerick contest. Finlay MacKenzie of the UK presides as the Master of Ceremonies, and all diners are invited to participate in constructing a limerick based on the events of the first day of the conference. Yes, that's right - try to turn statistics into lyrical poetry. A very difficult feat indeed. And who was 2016's winner, you may ask? The news hasn't been getting any better over at Theranos. Since the Wall Street Journal pierced the facade on Theranos' promise of revolutionizing the lab test industry, there have been additional stories that Walgreens is seeking an exit from their partnership, that some of their premier clinical partners, Intermountain Healthcare and Cleveland Clinic, have not even started work on any validation studies with Theranos technologies, and that Capital BlueCross has put a stop to Theranos blood-drawing at the insurer's retail store in Pennsylvania. But that's nothing compared the release of the full, but redacted, CMS inspection report of Theranos' Newark, California laboratory. Earlier, we had seen the top sheet of the report, noting five major violations that meant Theranos was putting its patients in "immediate jeopardy." IQCP and ISO 15189: Incompatible or In sync? With sincere thanks to Carolyn Maurer, the Director of the CAP 15189 program. As the new IQCP regulations kick in, it's been interesting to see the international reaction to them. I admit that I thought the IQCP impact would be contained within the US, that contagion would not spread to the international community. After all, IQCP is only a required option for labs within the US, and then only required for labs that seek to find a replacement to their now-outdated EQC policies. For labs that don't want to reduce their QC frequency below once a day, there's no need to create an IQCP at all. But the situation appears to be more complicated. CAP, which has a significant international presence, is rolling out IQCP to all of its members, not just its US customers. Last year Dr. James O. Westgard was named as one of the top 4 Pathologists by the Pathologist. In the latest issue (#0316) of the Pathologist, Dr. Westgard talks about his career, his research, and his hobbies. Last month, I had the pleasure to speak at the Asia MedLab conference, a growing conference that is run by the same organization that runs the massive ArabHealth conference in Dubai. This conference was held in Singapore, I spoke on the application of Sigma-metrics not only to "regular" testing but also to viral load testing methods. Here I am pictured with Dr. July Kumulawati and Dr. Loke Jee Leong, of Subang Jaya Medical Center. Good colleagues of mine in Southeast Asia.